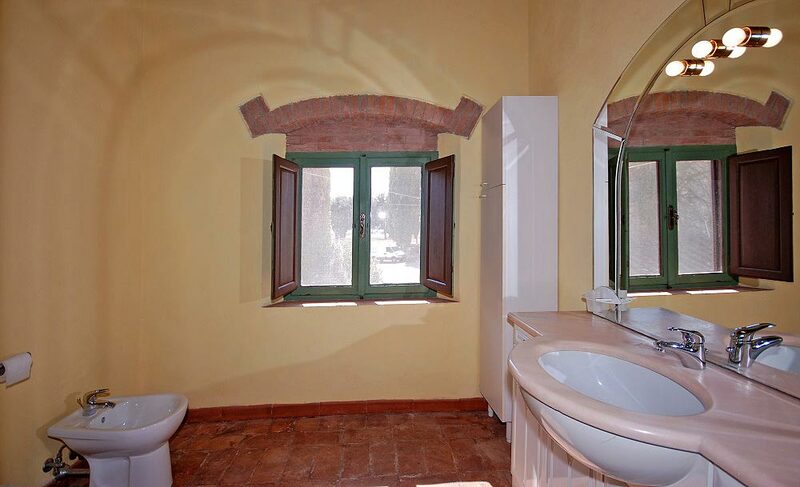 Located on the first floor in the building that was one the oil mill. 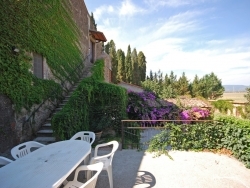 Completely independent it has a large terrace ground floor equipped with table and chairs and a private lawn area. 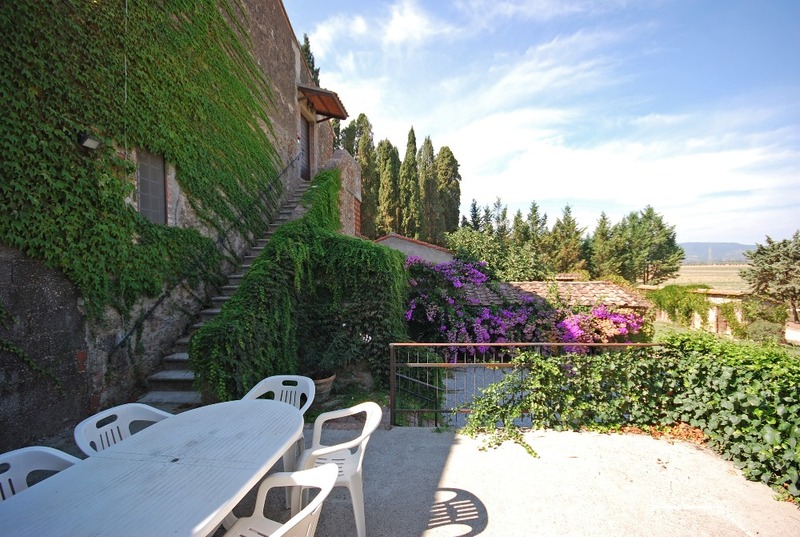 The access to the apartment is through an external stone staircase. 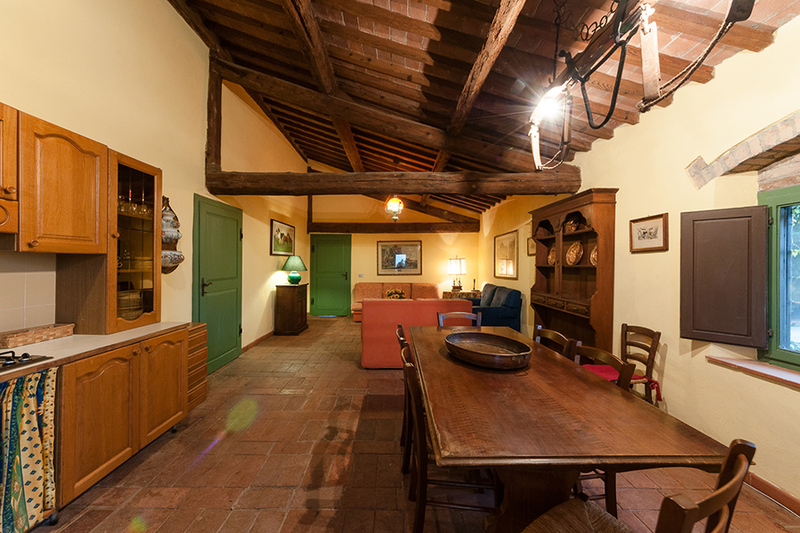 It has a large living room with dining table, kitchen fitted with 4 burner stove, refrigerator, sink, kitchen equipment and some sofas one of which single sofa bed. 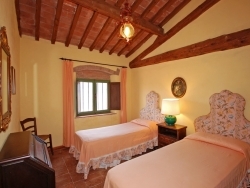 From the living room, though two different doors, leading to two sleeping areas each with one double room, one room with twin beds and one windowed bathroom with shower. 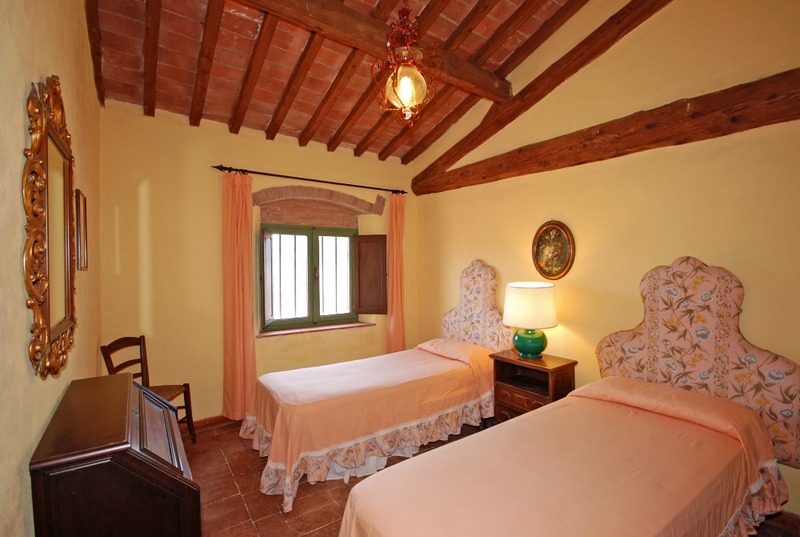 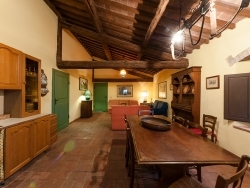 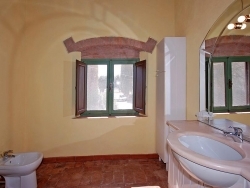 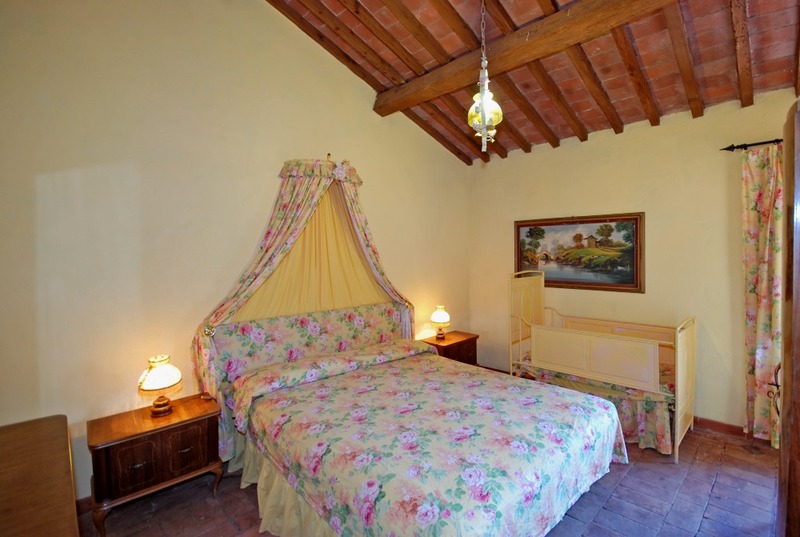 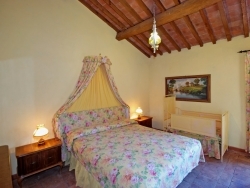 double bedroom, twin beds room, one windowed bathroom with shower.The floor is with original terracotta tiles and the ceiling has wooden beams.